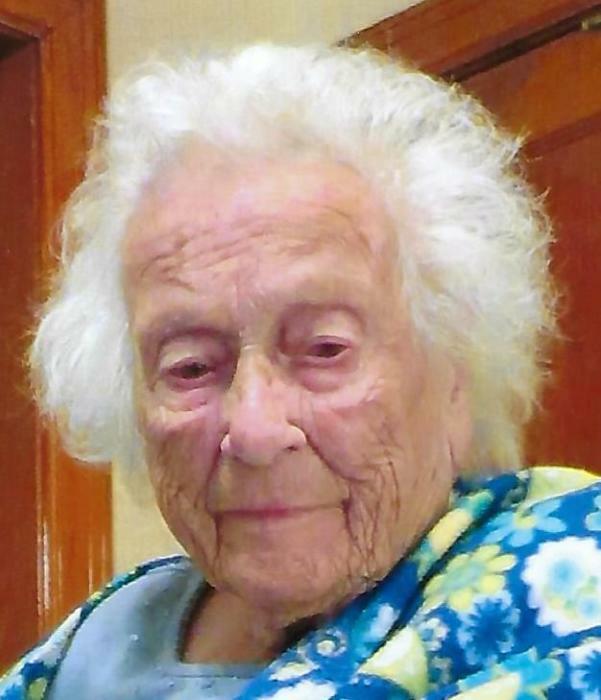 Obituary for Beulah L. (Painter) Albera | Giunta-Bertucci Funeral Home Inc.
Beulah L. Albera, 99, of Braeburn, passed away Nov. 17, 2018, at UPMC St. Margaret Hospital, Pittsburgh. She was born May 23, 1919, in Braeburn, daughter of the late John and Helene (Hill) Painter. She was wife of the late Joseph Albera, who passed away in 1994. In addition to her husband and parents, she was preceded in death by two sons, Ronnie and Edward Albera; a grandson, Eddie Albera; and a daughter, Myrna Fagley. She was also preceded by two brothers, Walter and Harry Painter; and two sisters, Thelma Chiodo and Martha Myers. Mrs. Albera was a member of the former Braeburn Fireman Ladies Auxiliary, the longest member of the Braeburn Methodist Church, and she also was a Sunday school teacher. She enjoyed sitting on her porch, attending to her yard and garden and weekly trips to the Pittsburgh Mills Mall, followed by lunch at Elena's Restaurant in Lower Burrell. She was born and raised in Braeburn and loved her life there and enjoyed spending time with her family. She is survived by three daughters, Barbara Weinfurther, of Beaver Falls, Kathy Albera, of Braeburn, and Deborah (Bruce) Bartrug, of Lower Burrell; six grandchildren, Randi (Connie) Shank, LeaAnn Powell, Thomas (Amie) Shank, Kathy Jo (Jon) Sagwitz, Brian (Nichole) Bartrug and Avyn (Scott) Israel; and is also survived by many great-grandchildren and great-great-grandchildren. She is also survived by a daughter-in-law, Patricia Albera, of Upper Burrell; and many nieces and nephews. Friends will be received from 7 to 9 p.m. Sunday and 2 to 4 and 7 to 9 p.m. Monday, in the GIUNTA-BERTUCCI FUNERAL HOME INC., 1509 Fifth Ave., Arnold, PA 15068, JohnPaul Bertucci, owner/supervisor. A funeral service will take place at 10 a.m. Tuesday morning in the funeral home. Burial will be in Greenwood Memorial Park, Lower Burrell. To leave an online condolence, visit www.giunta-bertucci.com.